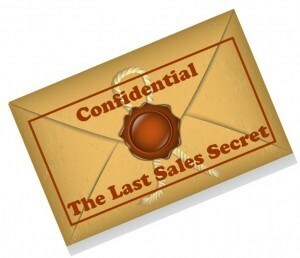 The Last Secret In Sales! I love reading articles, books, and all things sales. Some I read to learn, others for pleasure – some people just write well; and then there are those that I read just to see how badly I disagree with the writer and their views. Among these my favourite by far, the ones I read for a laugh, a good deep belly laugh, are the articles that usually have headlines such as “The Secret to…”, where the author wants readers to believe that they have discovered or uncovered THE SECRET element that will forever demystify sales and selling; along the lines of Edison’s light bulb. As though before reading the piece we were stuck in the dark ages, having to make wick and gather wax to make candles, then rub sticks together making fire to light our candles. But now, thanks to this immensely generous pundit, finding prospects and closing sales will be as easy as switching on the light. I know that when they wrote the thing they did not intend for me to giggle, but making the reader laugh is usually their only redeeming value. Pieces that read “Cracking The XYZ Code”. Every time I see a headline like that, I get out my life size cut out of Benedict Cumberbatch from The Imitation Game, and an autographed photo of Dan Brown, eagerly anticipating a life changing experience. After all, I can picture the author, having made great sacrifices, suffered through the process of cracking the “whatever” code, now sharing it and liberating mere mortal sellers from their toil. Over the years pundits have offered secrets, incantations, amulets and more, yet the output seems to be steady, with no significant improvement in the pace of revenue growth, margins growth, and the number of reps attaining or exceeding quota. Now you can’t blame the pundits, they are in the business of selling books, and as long as there are buyers, there’ll be someone cranking it out. I remember one of the big disagreements my co-author and I had was over unnecessary, stupid, misleading and not factual statement on the cover: “There is a sliver bullet in Sales”, no there isn’t, and anyways, what hunting, werewolves or revenue? Add to the above the magic of technology, and you have “stupid” automated. This not a comment on the quality or worth of the technologies, but the stories spewed by some who will lead you to believe the technology will change and improve your selling and sales results. It is a lot like fitness fads and ab machines peddled by former athletes or fitness wannabes. You still need to eat wisely, commit to a program and find the discipline and accountability to execute an ongoing and evolving plan. The pattern is familiar, sellers jump on a trend, acquire the related consumable, but don’t change the way they execute in the field. After a few weeks of effort, and only minor uptick in results, the ab machine or sales tool or methodology ends up in the closet or under the desk, and it’s back to how we sold all along. Change, long term sustainable and ongoing change, takes effort, and commitment. Often a greater level of effort than many have had to commit to in the past. The other element required that many don’t want or have access to, is support, just as with fitness programs, people who commit to a health plan and engage a professional trainer or fitness pro are more likely to not only succeed, but maintain the new discipline, than those who go it alone. It is also important to remember that improving your selling is best achieved by building and adding to your skills and tools, not by narrowing, restricting or limiting your tools and techniques. The problem with SECRETS and CRACKED CODES, is they seem to need to displace or “kill” other methodologies that came before it. Witness the need by “Social Sellers” to start all discussion by saying “cold calling is dead”. The best sellers I know take from all methodologies and piece them together in a way that enhances and expands their skills, opportunities and sales. So here is the last SECRET in Sales: There Are No More Secrets! It’s all out there, all that is left is to execute. Some find it easier to blame the last fad, the latest technology, the new app, anything but the fact that we don’t do, or want to do certain things that have to be done in the course of a sale. This is no secret, but success in sales is less about methodology or tools, or attitude; success in sales is about execution – everything else is just talk.